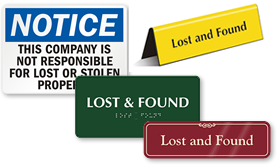 Be sure customers and employees know where to report when they lose something they love, or when they find something valuable. 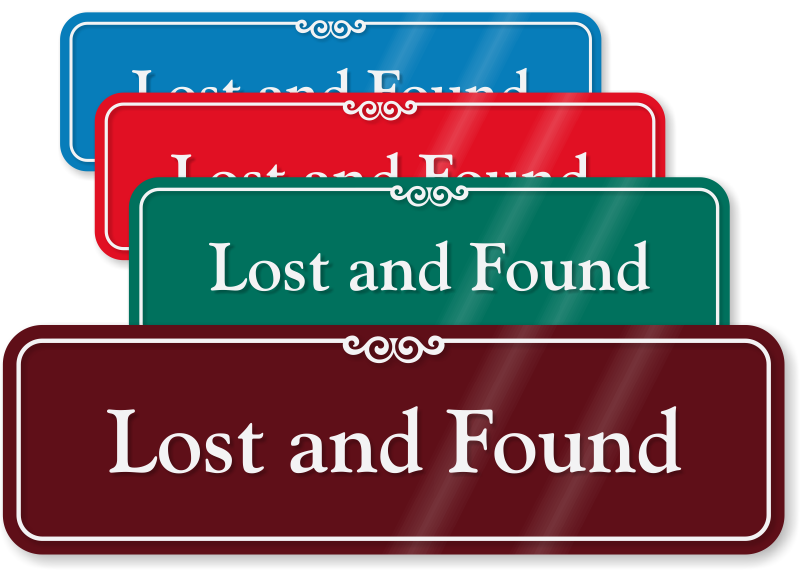 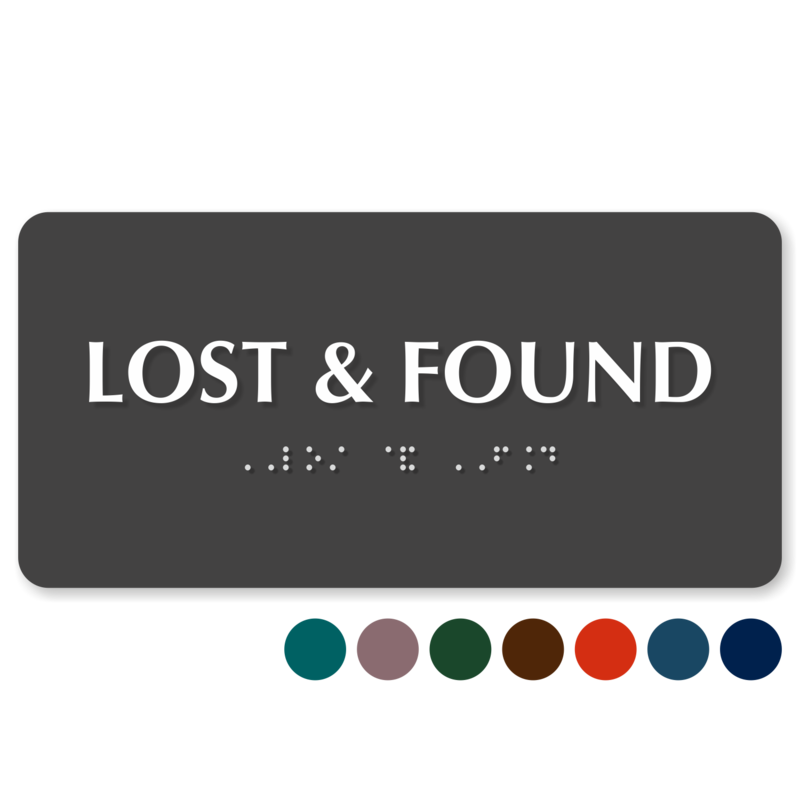 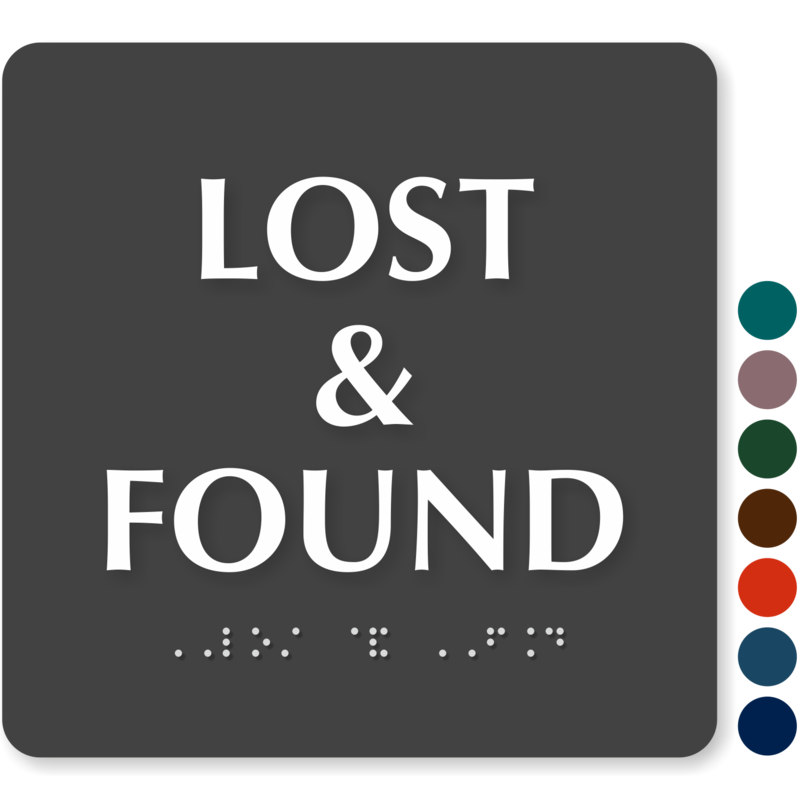 Lost and Found Signs make your building more user-friendly and show that you care about the security and comfort of your customers and employees. 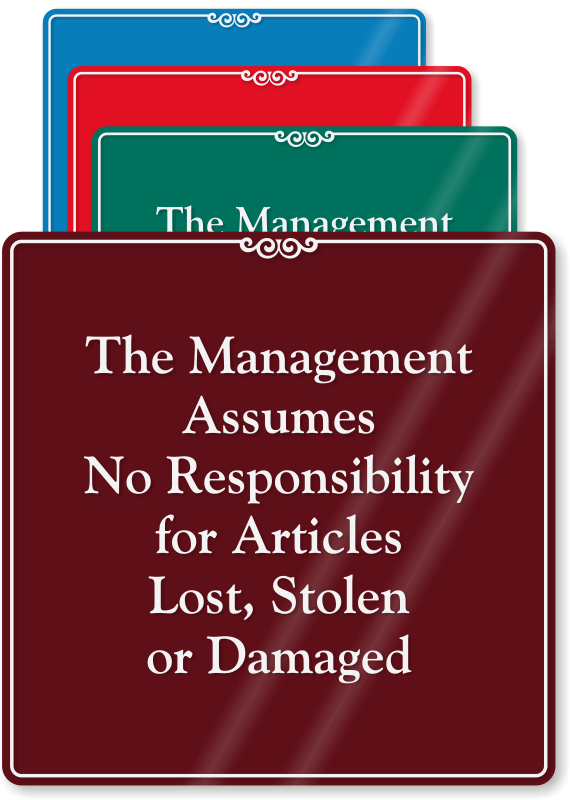 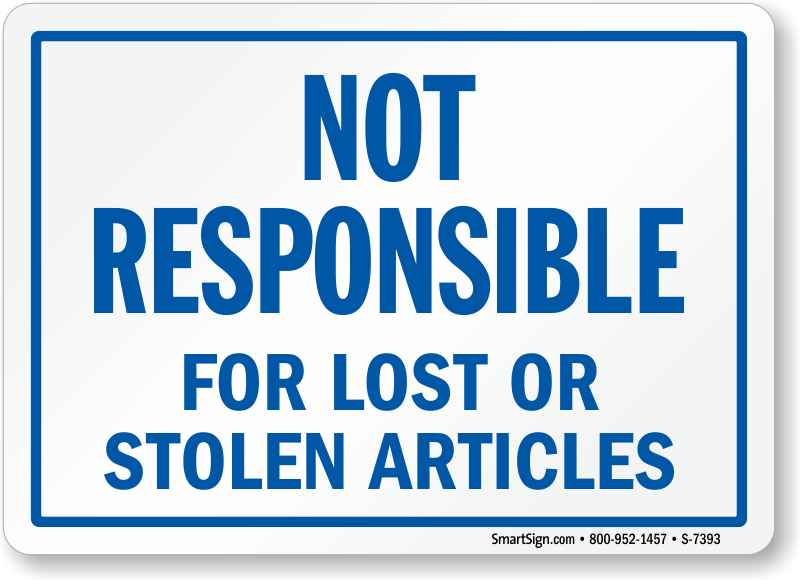 • We also offer signs that state that you are not responsible for lost or stolen articles. 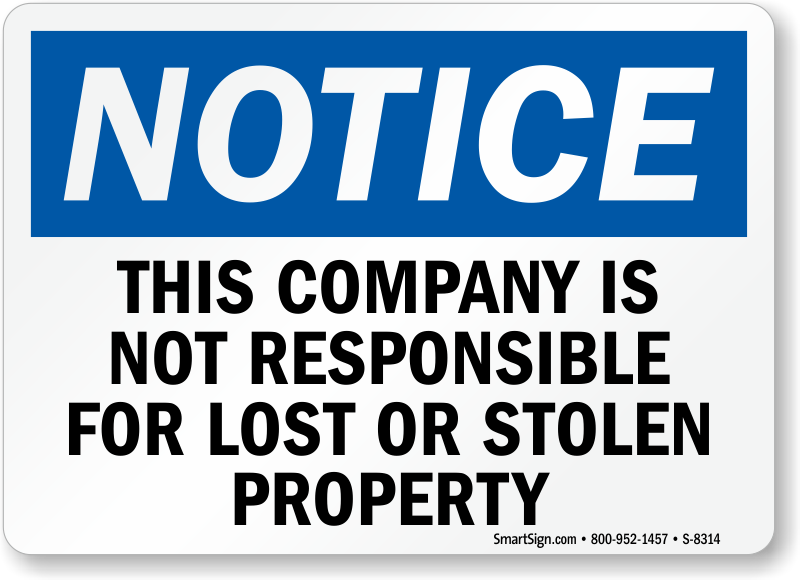 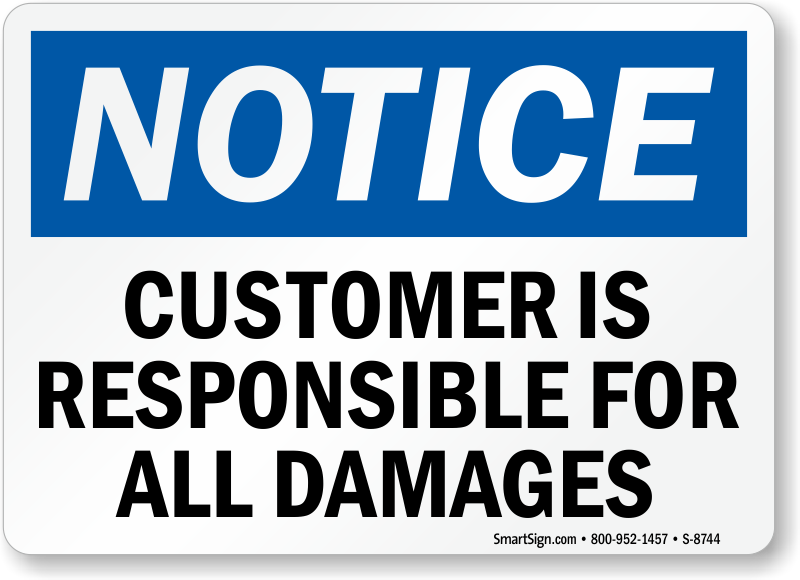 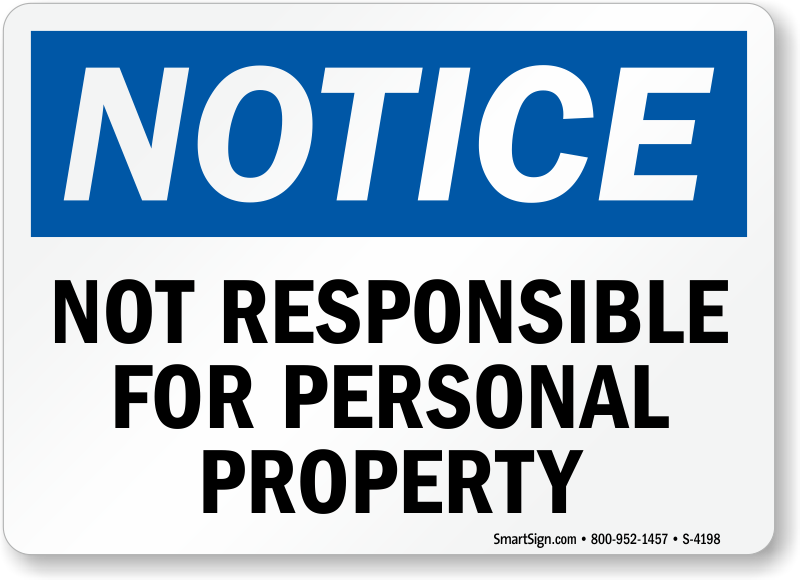 Protect yourself and limit your liability by posting these signs. 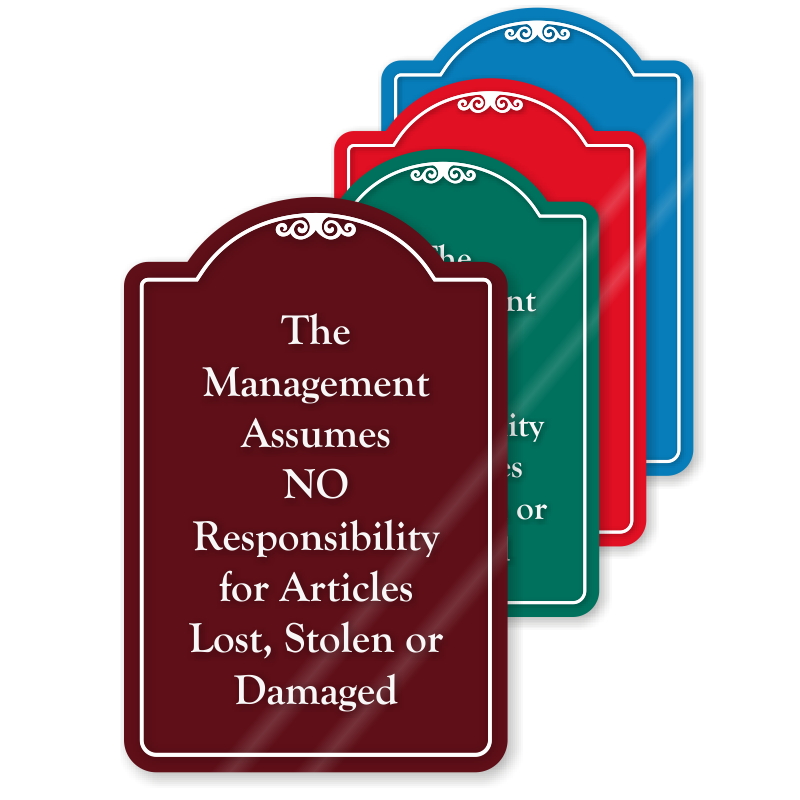 • Signs are available in a variety of colors and sizes. 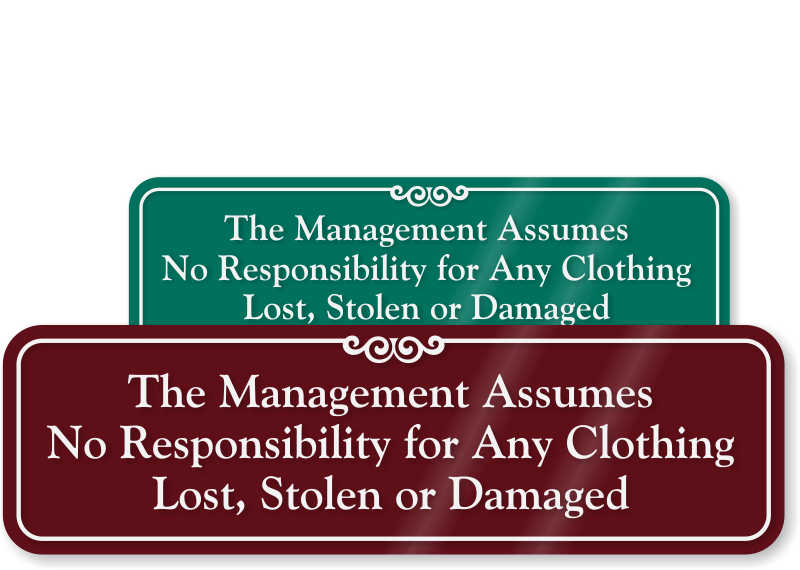 • Signs offer a premium appearance, yet are affordable. 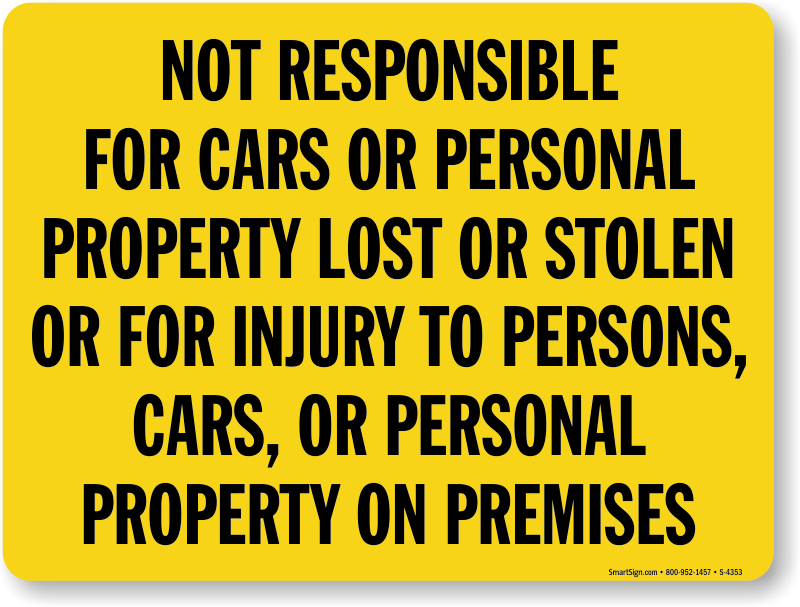 Tent-style signs are only $14.95 each!